Coastal Cottages are well furnished rooms which offer added privacy with close proximity to the beaches and partial sea view. These Cottages are Air conditioned and have their own private lawn where guests can destress and enjoy their time off. Have a good night’s sleep in our state of the art Deck rooms with modern architecture and tasteful interiors. When you wake up enjoy the morning scenery in your personal deck right next to the ambient water body. Newly developed Premium Double Bed Rooms in our hotel are well furnished with state of the art facilities like modern designed interiors, shower cabin attached in bath rooms, Hair dryer etc. 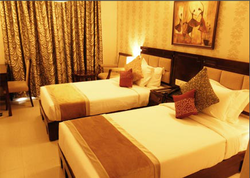 At Sree sakthi Residency we ensure a comfortable & enjoyable stay in a relaxed atmosphere. 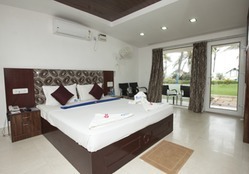 Our Spacious & modern rooms will ensure your stay is memorable . A standard business class room offering a single size bed, this cozy design is ideal for an extended and economical stay.